Most of us have fond memories of childhood bike rides. 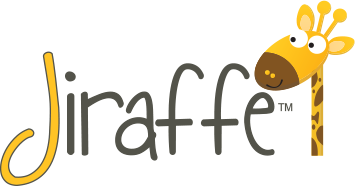 At Jiraffe we believe everyone deserves the chance to ride, especially someone with physical disabilities. And thankfully it’s beginning to be recognised that for a person with disabilities, a trike is far more than merely recreational; an adaptive tricycle is often medically necessary for someone who cannot walk independently or who sits for long hours in a wheelchair. Riding a bike is part of being a child, and this bike for children with special needs aims to provide that exhilarating experience to every child. 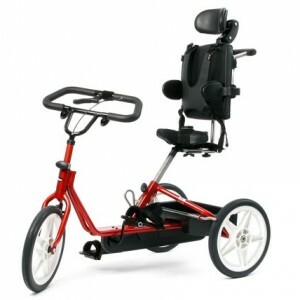 Rifton have thought through all the features – from the supportive backrest to the low transfer step – that will make this tricycle as accommodating as possible. 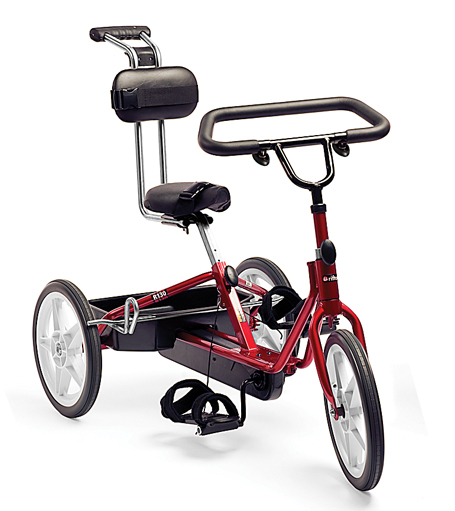 CLICK HERE to watch the instructional video for the Tricycle! Order a Rifton Catalogue today! Riding a tricycle provides both fun and fitness, and is a therapeutic activity that allows children to exercise their lower extremities. As the muscles move through cycling motions, they are flexed, extended and stretched. This range of motion is crucial for children with disabilities, because muscles are incapable of keeping up with bone growth unless fully extended. Disabling contractures are a consequence of immobility. While an activity with a wide range of motion encourages muscles and bones to grow at the same rate, cycling has the added benefit of strengthening gross motor control development. On a Rifton Tricycle, the user participates to the extent that his or her ability allows. Over time, improved strength of quadriceps, hip extensors, and the ankle muscles, as well as improved trunk stabilisation and balance will show itself. 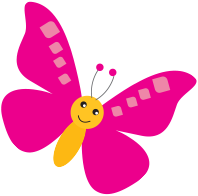 The carer is in front of the user when using the guide bar, providing eye contact, encouragement and motivation. 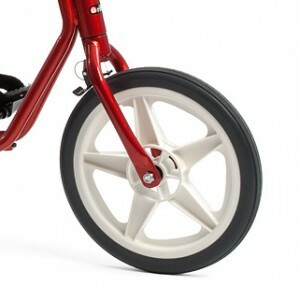 With practice, the user’s own spatial awareness will improve, to manoeuvre the tricycle with increasing independence. In cycling, the hips, knees, and ankles practice muscle activation and motor control in similar patterns to walking. Riding a tricycle trains the user’s lower extremities to move in a reciprocal pattern and in a progression line, strengthening these muscle groups. Consistent opportunity for cycling may positively affect gait training. As children grow older, it becomes an increasing challenge to interest them in rehabilitation. 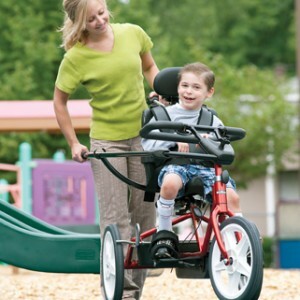 The use of a tricycle makes therapeutic activity fun and worthwhile. Trike riding encourages socialisation and the development of friendships, especially when inclusion enables children with special needs to ride alongside their peers. 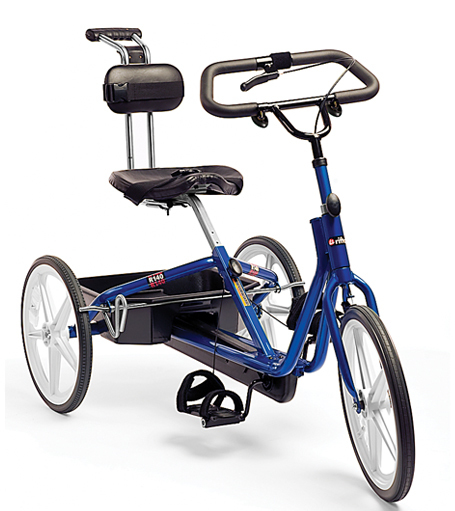 Open access combined with a low transfer step makes it easy to get on and off Rifton adaptive trikes. Puncture proof BMX-type wheels. A low gear ratio makes pedalling easier for beginners, and slows down speeders. With the hook and loop straps on the self-levelling pedals, feet are secure. 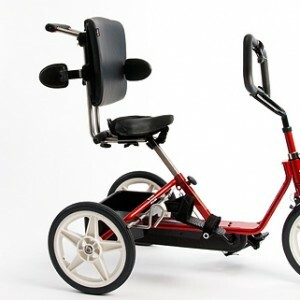 Users can ride unaided, and have healthy exercise and fun. The abductor provides comfortable abduction if needed. Just set it in place, tool-free. Abductors for the medium R130 and large R140 trikes are height-adjustable with a snap button. The additional backrest pad with security strap provides extra support. *NB: Suitable for all Tricycle sizes. Car makers believe in the long-term benefits of baked-on powder coating. So do Rifton. Designed to stand up to wind and weather, their colours also conform to American and European toy safety standards. 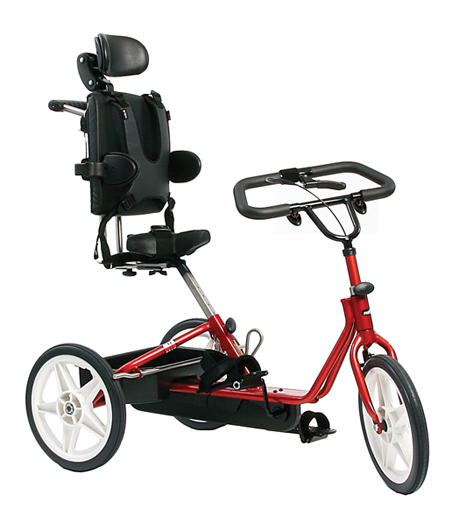 The Adaptive Tricycle is available in 4 colours: red, blue, lime and raspberry. This pic shows a red Tricycle. 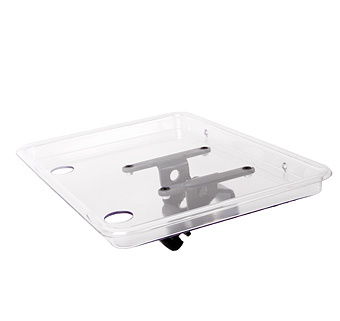 The communication tray is easy to clean and designed to hold many things, including your communication device. It comes in two sizes: small tray fits the small and medium trikes, large tray fits the large trike. *NB: Suitable for use with all sizes of Tricycle. Front guide bar attaches securely to the handlebar and lets a carer guide the Rifton Tricycle from the front. Ideal for beginners who can't steer themselves. *NB: Suitable for all sizes of Tricycle. Choose a traditional handlebar with conventional handgrips or a padded loop handlebar for extra support. 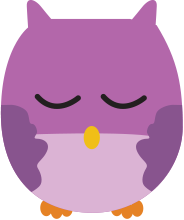 A headrest can be purchased with either a flat or contoured headpiece, and adjusts both horizontally and vertically for optimum positioning. The headrest attaches to the trunk support system, tool–free. Rear steering bar lets a carer guide the Rifton Tricycle from behind, enabling the rider to see ahead. It is ideal for riders who can’t steer themselves. 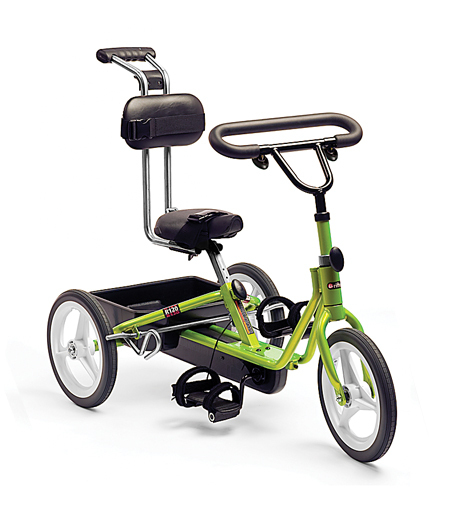 The stationary stand converts any Rifton Tricycle into a stationary trainer for pedalling practice or rainy-day activity. *NB: Tote Box is included on the Tricycle. The trunk support system stabilizes a rider with poor balance. It includes a padded backrest, butterfly harness, and two independent lateral supports. An optional headrest is also available to attach tool-free to the trunk support system. 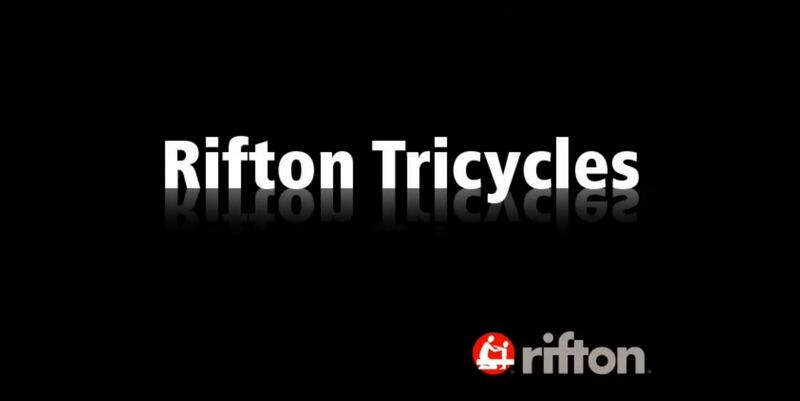 Upgrading your old Rifton tricycle? 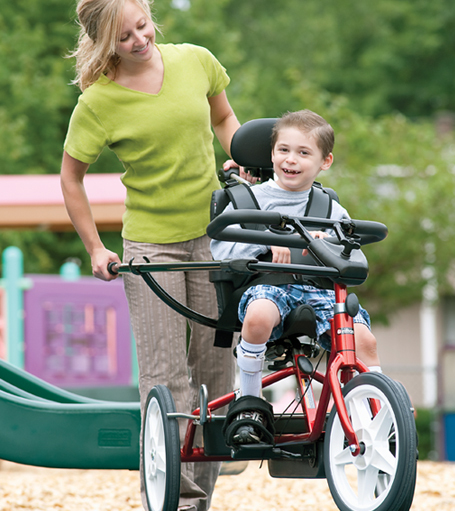 If you are purchasing a trunk support system for your existing Rifton tricycle, be sure to include a new-style backrest tube with handle in your order, as it will not retrofit onto the old-style backrest tubes. There’s a tote box at the back of your trike for storage or for transporting items. Front guide bar attaches securely to the handlebar and lets a carer guide the Rifton Tricycle from the front. Ideal for beginners who can’t steer themselves. 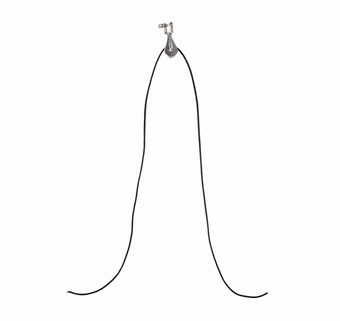 Have you seen the HTS (Hygiene Toileting System) from Rifton?